Born out of the Centenary of Canberra, the CBR Brand is a platform to tell the story behind Canberra’s new identity – through a range of communication tools. Its mission is to strengthen and diversify the local Canberra and region economy. In order to do that, we need more people to call Canberra and the region home, we need more businesses to open and succeed, we need more local businesses to grow and we need to attract investment capital from across Australia and around the world. The Canberra Business Chamber engaged contentgroup to find and tell these stories of Canberra that will inspire people to live, to start and grow businesses, to study and to invest in Canberra. contentgroup’s initial primary focus was to develop a marketing and communication strategy that would inform all of the work undertaken across an initial nine-month contract. 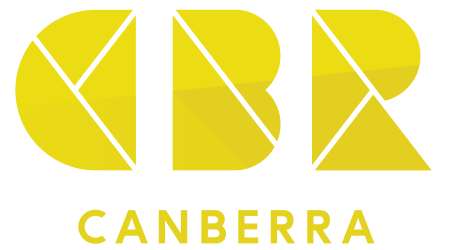 This strategy covered key messages and objectives, but also touched upon the thorough research that had been conducted in developing Canberra’s new brand. contentgroup worked closely with the ACT government brand representatives, along with fellow creative agencies and trusted partners to deliver on the strategy. The strategy listed a number of marketing tactics and actions designed to meet the primary objective of the project; to drive Canberra’s economic diversification. Following on from the strategy, contentgroup’s role was to adopt a content communication approach, developing content that showcased the values and essence of the brand. Following a period of transition for the brand, contentgroup again came on board for its second iteration in August 2016. We developed a refreshed content communication plan for the project. Our communication approach centred on leveraging the well-defined CBR brand narrative and architecture, building a team of citizens, organisations and other key stakeholders to champion the brand, content creation, content curation and content distribution, including a component of public relations. As part of the project team we have created and curated upwards of 100 news articles to populate the new canberra.com.au website. All content is designed to spruik the benefits of living, working, playing, studying and doing business in Canberra, and we create and curate content on an ongoing basis. The first iteration of the brand was received positively by internal stakeholders. There was pleasing uptake of the brand’s physical assets, such as window stickers and logo usage. In the second stage, in the first five months of the new content communication plan’s implementation, canberra.com.au recorded close to 20,000 users who clocked up 46,000 page views on the new website. The Facebook page we created and manage to amplify CBR content has proven popular, with more than 4,700 likes amassed over the first five months, while posts on the page have received almost 500,000 impressions. There was also widespread adoption of the program’s hashtag, #WeAreCBR.